How can we help heal children who have been abused or neglected? Healing Child Trauma Through Restorative Parenting details how children can be helped to recover with the use of Restorative Parenting, an innovative model informed by psychological and neurological understanding of trauma and its effects. It explains the critical role that people, relationships and the environment play in a child's recovery. It shows what constitutes a therapeutic environment, whereby a child experiences therapy not as one-to-one sessions but as a lived experience. The authors show how other components of the model - building therapeutic relationships, promoting positive education and encouraging clinically informed life style choices - are intimately linked, each critical to the re-parenting which the child undergoes. This book will be welcomed by professionals working with children, including those in residential, health and foster care, psychology, education and health, as well as those commissioning services. The models, concepts and practices are transferable to public, private and charitable agencies. Foreword. 1. Children in Care: What is Care and why are the Children there? 2. 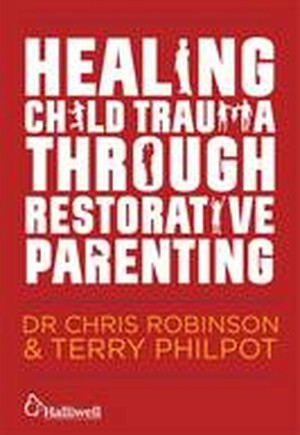 Restorative Parenting: Meeting the Lived Experience of the Child. 3. A Home for the Child: Creating a Therapeutic Environment. 4. Another Kind of Parent: Therapeutic Parenting. 5. It's the Relationship that counts. 6. A Matter of Choices: Clinical insight for the long term. 7. Education, Education, Education. 8. People at the Centre: Staff Consultation, Support and Values. Appendix I. Notes. References. The Authors. Subject Index. Author Index. About Halliwell Homes.